Regular maintenance lowers operating costs and increases system capacity. Let us help you ensure longer equipment life with our one of our Peak Performance Maintenance programs. 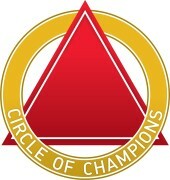 Peak Performance Maintenance participants receive priority scheduling and receive 10% off any needed repairs. Our factory trained, NATE-certified service technicians are 100% non-commissioned. Just three of many reasons you can count on us: 1. We believe in extending the life of your equipment. 2. Our customer's best interest is always our priority. 3. You can rest assured that we are sending qualified service technicians. As a Bryant Factory Authorized Dealer, we will provide you with the highest standards of excellence backed by a 100% satisfaction guarantee. Every equipment installation and change-out is designed and installed with the knowledge and craftsmanship of three generations of industry experience. All estimates are prepared by our NATE Certified Licensed Contractor, Larry Gish: owner of Roseville Sheet Metal, Inc. with 33+ years of installation experience. Have questions? Need expert advice? Please feel free to give us a call. We are here to serve you. And in today’s age, where many companies value speed over quality and convenience over honesty, you should feel comfort in the fact that Larry will carefully consider every component of your system and our technicians do not earn a sales commission. 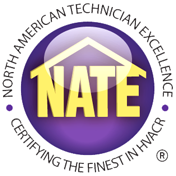 As an HVAC company and sheet metal shop, we make many of your components in-house and our service technicians are NATE Certified.